President Cyril Ramaphosa officially opened the AAD 2018 Exhibition at the Air Force Base Waterkloof in Pretoria on Wednesday, 19 September 2018. President Ramaphosa officiated in his capacity as Commander-in-Chief of South Africa’s armed forces. The AAD Exhibition attracts exhibitors in defence technology and innovation from across the world and showcases the capabilities of armed forces. The exhibition is staged every two years. The 2016 event attracted 532 defence exhibitors from 34 countries, with 33 862 trade tourists visiting the show, which injected R1,14 billion into the economy. Managed on a rotation basis by a partnership comprising the Department of Defence, Armscor, the South African Aerospace, Maritime and Defence Industry Association and the Commercial Aviation Association of Southern Africa, AAD2018 is taking place from 19 to 23 September 2018. More than 300 exhibitors representing 37 countries are expected to take part in this year’s show. The organisers of the show have invited 175 official delegations from 47 different countries, 90 of which are expected to attend. 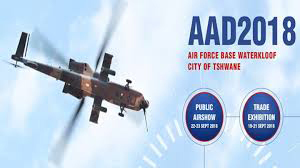 Thousands of aviation and defence enthusiasts are expected to converge at the Airforce Base Waterkloof. Among other things, the show programme will include aerial displays by the Silver Falcons, Gripens and Hawk fighter aircraft. President Cyril Ramaphosa has sent a message of condolences to his Zambian couterpart, Edgar Lungu, following the death of 11 Zambian nationals in a bus accident that took place on Monday, 17 September 2018, outside Mookgopong, Limpopo. President Ramaphosa said the thoughts of the South African people were with the people of Zambia, particularly the families who had lost their loved ones. President Ramaphosa also wished all the injured victims a speedy recovery. South African law enforcement agencies are investigating the cause of the accident. Working with Zambian authorities through their High Commission in Pretoria, the South African Government will provide assistance to the injured and the families of all the deceased. Fraternal relations between South Africa and Zambia were concretised when the African National Congress established its headquarters in Lusaka during the struggle for liberation. This led to the existing deep and solid bonds of friendship between the peoples of South Africa and Zambia. President Cyril Ramaphosa on 14 September 2018, engaged members of the Diplomatic Community accredited to South Africa led by its Dean, Ambassador Bene Lofongo M’poko. The Diplomatic Corps comprise ambassadors, high commissioners, consuls-general and charges d’affaires of 139 missions and international organisations represented in South Africa. The engagement took place ahead of the annual 73rd Session of the United Nations General Assembly (UNGA) in New York, United States of America, from 18 September 2018 to 5 October 2018. South Africa successfully campaigned to be elected by the UNGA to serve in the UN Security Council (SC) for the term 2019 to 2020 as a non-permanent member. This will be the third time that South Africa will be serving in the SC since the dawn of democracy in 1994. President Ramaphosa has expressed his gratitude to the Southern African Development Community and the African Union for their endorsement and confidence in South Africa’s international cooperation policy informed by the goals and priorities of the African continent aimed at achieving a Africa and a world that are prosperous, peaceful, democratic, non-racial, non-sexist and united and contributing to a world that is just and equitable. 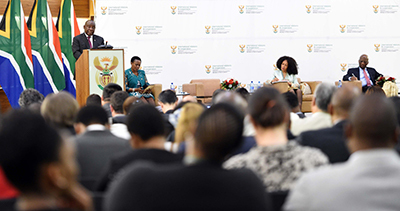 The President optimised this engagement to speak to the Diplomatic Corps about priority issues and programmes that the South African Government is pursuing, which includes the International Investment Summit, which will take place in October 2018 and the constitutional process of land restitution and redistribution. South Africa is more committed than ever to work towards greater multilateral engagement by the international community with a renewed commitment to the maintenance of international peace and security, inclusive growth, sustainable development and protection and promotion of human rights. President Ramaphosa presented highlights of the stimulus package that will soon be announced publicly, to business and labour leaders during a consultative meeting on Friday, 14 September 2018, on economic recovery, investment and job creation. The meeting in Pretoria was a preparatory dialogue ahead of the forthcoming Jobs Summit and Investment Conference. President Ramaphosa indicated that the stimulus package would reprioritise government spending, within the existing fiscal framework, towards activities that will stimulate economic activity. The package will include a defined set of economic reforms covering issues such as mining, telecommunications, tourism and transport. The meeting agreed that South Africa’s economic recovery demanded urgent implementation of the stimulus package and promised growth-enhancing reforms. The meeting also discussed proposals to establish an infrastructure development initiative that draws in private-sector funding and delivery expertise. The President welcomed the offer extended by business for the secondment of private-sector professionals to government to improve implementation. The meeting provided an opportunity for government, business and labour to exchange views on challenges facing the economy. Delegates engaged frankly on constraints to growth and entrepreneurship, and issues affecting the lives of citizens, including safety and security. Business and labour welcomed the measures being proposed to stimulate the economy, alleviate pressure on the poor and create and preserve jobs. The Minister of International Relations and Cooperation, Lindiwe Sisulu, on 17 September 2018, met with Ahmed bin Abdulaziz Kattan, Saudi Arabia’s Minister of State for African Affairs, in Johannesburg. The meeting focused on the recent successful State Visit by President Ramaphosa to the Kingdom of Saudi Arabia. The two ministers reflected on the fruitful outcomes of the State Visit and committed to implementing the high-level decisions emanating from the State Visit, including the pledge by the Saudi Government to invest US$10 billion in South Africa. The ministers also reaffirmed the importance of further solidifying the strong South Africa-Saudi Arabia bilateral relations in all fields, in line with the aspirations of the leadership of the two countries. The ministers exchanged views on regional and international developments. In this regard, Minister Sisulu stressed the importance of all countries adhering to and respecting the principle of non-interference by any country in the internal affairs of other countries, regardless of the reasons or justification. Minister Sisulu thanked Minister Abdulaziz Kattan for his visit to South Africa and the commitment of the Saudi Government to further strengthen and expand bilateral relations. The Deputy Minister of International Relations and Cooperation, Luwellyn Landers, led a South African delegation to Addis Ababa, Ethiopia, from 12 to 14 September 2018, where he attended a series of high-level meetings. As part of the preparations for the African Union (AU) Summit, the AU Commission held the Sixth Retreat of the Executive Council from 12 to 13 September 2018. The central part of the retreat focused on identifying effective implementation strategies for the reform of the commission. The reform of the AU is a central element of the AU Institutional Reform process that is underway within the framework of Assembly Decision 635. The objective of the reforms is to establish a high-performing, efficient and effective AU Commission that is able to deliver on agreed continental priorities, and attract and retain the best quality staff who are motivated and committed to delivering to the highest standards. 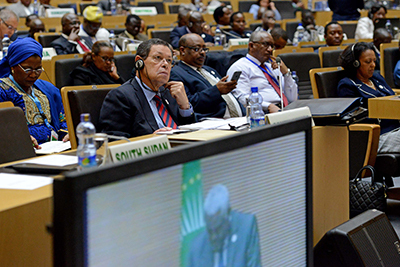 While in Addis Ababa, Deputy Minister Landers also attended the Ninth Extraordinary Session of the AU Executive Council (including ministers in charge of the African, Caribbean and Pacific Group of States [ACP] and/or ministers in charge of negotiations with the European Union [EU]. The ministers met to consolidate consensus on the AU’s African Common Position for Negotiations for a New Cooperation Agreement with the EU. African ministers were expected to finalise fundamentals of an AU-EU Post-2020 Agreement that sees Africa as a united continent that speaks with one voice, while preserving common interests, specificities, diversities and obligations of each African country and region. The legal basis for relations between the ACP and EU, the Cotonou Partnership Agreement (CPA), will expire on 29 February 2020. In preparation for 2020, the ACP has undertaken a two-pronged process. Firstly, the group is reviewing its performance over the last 40 years and reflecting on how the ACP could respond to the current global environment. Secondly, the group is developing its negotiating memoranda for a new successor framework agreement to the CPA. Through ACP processes, all three regions (Africa, the Caribbean and the Pacific) have embarked on regional/continental discussions aimed at formulating their positions in preparation for the negotiations on the finalisation of a successor agreement to the CPA. Nataional Assembly Speaker, Baleka Mbete, is leading a multi-party delegation of eight Members of Parliament (MPs) on an official parliamentary visit to the Republic of Cuba. 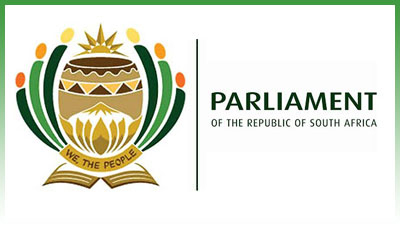 The eight MPs are Mmatlala Boroto (National Assembly House Chairperson: International Relations), Jackson Mthembu (Chief Whip, African National Congress [ANC]), Dorries Dlakude (Deputy Chief Whip, ANC), John Steenhuisen (Chief Whip, Democratic Alliance), Nyiko Shivambu (Chief Whip, Economic Freedom Fighters), Narend Singh (Chief Whip, Inkatha Freedom Party), Tasneem Motara (Provincial Whip: Gauteng) and Regina Lesoma (Whip, Portfolio Committee on International Relations and Cooperation). The official Parliament-to-Parliament visit follows an invitation from Ms Mbete’s Cuban counterpart, President of the National Assembly of People’s Power, Esteban Lazo Hernández. The visit is in keeping with the fifth Parliament’s strategic objective to strengthen relations with parliaments across the world and to enrich scrutiny and oversight of executive action. A bilateral meeting with Mr Hernández is among the engagememts scheduled for the week, together with a meeting with the Federation of Cuban Women, meetings at the Ministry of Foreign Affairs, the Ministry of Public Health, the Genetic Engineering Biotechnology Centre and the Latin American School of Medicine. Visits to places of interest include the African Founding Fathers Park, Africa House Museum, Old Havana and an official wreath-laying ceremony in honour of José Martí at the José Martí Memorial. Cuba played a key role in South Africa's struggle to end apartheid – for example during the battle of Cuito Cuanavale (1987/88). In July 1991, after his release from prison, former President Nelson Mandela visited Cuba and met Fidel Castro for the first time. In his address at a ceremony to mark the 38th anniversary of the start of the Cuban revolution, Madiba said: “The defeat of the racist army at Cuito Cuanavale has made it possible for me to be here today! Cuito Cuanavale was a milestone in the history of the struggle for southern African liberation! Cuito Cuanavale has been a turning point in the struggle to free the continent and our country from the scourge of apartheid!”. The bonds of solidarity forged in struggle have continued to strengthen since democracy. Most notably, cooperation between Cuba and South Africa has contributed to improving our healthcare system. As South Africa celebrates the centenary birthday of Mr Mandela this year, so too is Cuba doing so with a series of events planned to end in December. The Minister of Planning, Monitoring and Evaluation, Nkosazana Dlamini Zuma, attended the state funeral of the late former United Nations (UN) Secretary-General (SG), Kofi Annan, on Thursday, 13 September 2018, in Accra, Ghana. She attended the funeral as a representative of the South African Government and the people of South Africa at large. 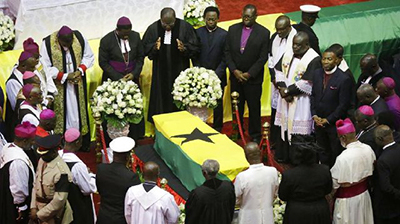 In August, Ghanaian President Nana Akufo-Addo announced that Annan would be honoured with a full state funeral. Annan, a Ghanaian national, was the seventh SG of the UN and the first African to hold that office. He was revered for his commitment to eradicate poverty and inequality, improve education, reduce the incidence of HIV and AIDS and protect the environment and humanity from violence. He also served as the chairperson of The Elders – an international non-governmental organisation of public figures noted as elder statesmen, peace activists and human rights advocates, who were brought together by former President Nelson Mandela in 2007. In a statement, the group described Annan as a global statesman and a deeply committed internationalist who fought throughout his life for a more fair and peaceful world. BRICS Communications and ICT Ministers have agreed to help promote the cooperation of small, micro and medium enterprises (SMMEs) from BRICS member countries. “Key to unleashing their potential, is for governments to support and invest in the innovation and development of ICT SMMEs and the broader ICT industry,” said a communiqué issued at the end of the BRICS meeting for communications and ICT ministers. The meeting, held recently in Durban, agreed to share studies, expertise and information on the roll-out of 5G within BRICS member countries. This includes encouraging intra-BRICS investment on 5G and other new emerging technologies. 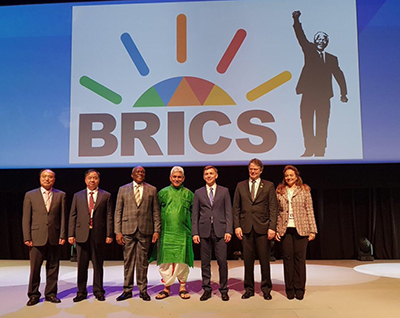 The Fourth BRICS Ministers of Communication Meeting was held in Durban. ICT Ministers from Brazil, Russia, India, China and South Africa attended the meeting. The meeting was aimed at taking forward policy approaches to emerging technologies, progress in business linkages and strengthening cooperation on the Fourth Industrial Revolution in the five countries. 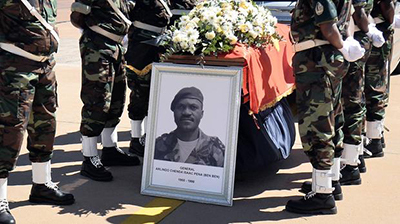 At the request of President Cyril Ramaphosa, the Minister of Justice and Correctional Services, Michael Masutha, on Thursday, 13 September 2018, attended and addressed the Angolan Government’s special repatriation ceremony of the remains of its late General Arlindo Chenda Pena “Ben Ben”. General Pena was a former Deputy Chief of Staff of the Angolan Armed Forces who passed away in South Africa in October 1998. 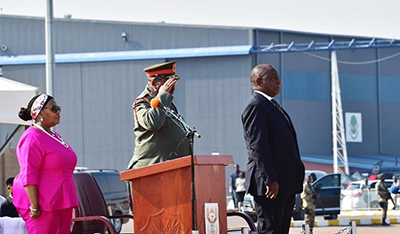 The ceremony was held at the Waterkloof Air Force Base in Pretoria as part of South Africa’s assistance to the Republic of Angola in the repatriation process, which will contribute to reconciliation among the Angolan nation. In support of President João Lourenço’s drive to give recognition to Angolans who fought in the anti-colonial struggle for liberation, President Ramaphosa has agreed to assist and support efforts by the Angolan Government to greater peace, reconciliation and unity. The Angolan Government delegation to the Air Force Base Waterkloof ceremony was led by Minister of Justice and Human Rights, Rui Mangueira, and included several generals of the Angolan armed forces. G20 trade and investment ministers used their meeting in Argentina to encourage each other to collectively and individually continue to generate ideas to ensure that the World Trade Organisation (WTO) continues to be relevant. The ministers met in the resort city of Mar del Plata in Argentina on Friday, 14 September 2019. The meeting was held to strengthen G20 trade and investment cooperation under the overall objective of the G20 Argentinean Presidency of “building consensus for fair and sustainable development”, taking into consideration national needs, priorities and circumstances. “We stepped up our dialogue on current international trade developments, recognising the urgent need to discuss current events in international trade and ways to improve the WTO to face current and future challenges. “In this context, we discussed what the G20 can do to address the current situation in a collaborative manner,” said the trade ministers. Their session included South African Trade and Industry Minister, Rob Davies. Prior to leaving South Africa to attend the session, Minister Davies expressed concern with current global developments. “The G20 Trade Ministers’ Meeting is taking place at a time when the multilateral trading system is facing unprecedented challenges. Of concern is the rise of trade measures that are not compatible with the WTO. “The G20 Trade Ministers’ Meeting will provide an opportunity for a dialogue on current developments in international trade and its implications for the global economy,” Minister Davies said. At their meeting, the leaders stressed that international trade and investment continued to be important engines of growth. “International trade and investment continue to be important engines of growth, productivity, innovation, job creation and development. Rapid technological advances are transforming the world economy at an unprecedented level. 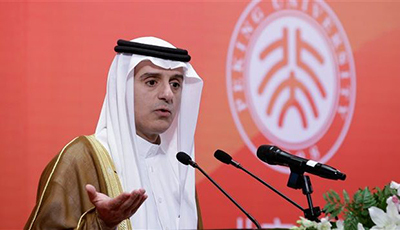 “Economic growth remains robust, while trade shows signs of recovery since the financial crisis, with an increase of 4,7% in 2017 and a projected increase of 4,4% for 2018,” the ministers said. The leaders, however, noted that there were downside risks and vulnerabilities and that growing inequality could affect confidence and the prospects for strong, balanced and sustainable growth. G20 countries also pledged to work together to enhance sustainable economic growth, keep markets open, address economic development and reinvigorate the international trading system. The leaders noted that the expansive and transformative changes brought about by the New Industrial Revolution (NIR) and the adoption of digital technologies across all industries had wide-ranging implications for the scope, scale, speed and patterns of production, trade and investment. The leaders also welcomed the discussion of factors for G20 policymaking options to face the challenges and take advantage of the opportunities that the NIR posed for trade and investment flows, with particular attention to micro, small and medium enterprises; developing countries; and women. For South Africa, the G20 engagements provide a platform to discuss, assess and advance economic and policy issues, and for knowledge transfer on policy practices to foster the country’s development objectives. The G20 ministers recommended that these issues be discussed at the Buenos Aires Summit in November. Intra-African trade remains a priority for the South African Government, Director-General (DG) of the Department of Trade and Industry (dti), Lionel October, said on Thursday, 13 September 2018. “The priority for this government in the medium term is to promote intra-African trade and broaden integration across existing regional communities within a development integration framework. 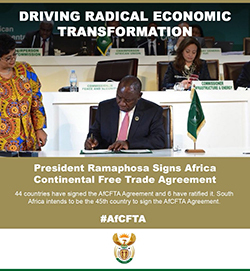 “As a result, South Africa has acceded to the African Continental Free Trade Area Agreement with the African Union and due to these efforts, the rest of Africa is still a major destination for South Africa’s exports, estimated at approximately 30%,” said DG October. He was briefing Parliament’s Portfolio Committee on Trade and Industry on the department’s annual progress in meeting its objectives, as contained in its Annual Report 2017/18. He said South Africa’s exports to the rest of the African continent were mainly in value-added products, which supported the objectives of industrial development, job creation and economic transformation. “With regard to the transformation of the economy to promote industrial development, investment, competitiveness and employment creation, exports have doubled in the 10-year period, which has also seen R45 billion worth of investment by the majority of the world’s leading global vehicle manufacturers. “In the leather sector, 22 new factories were opened, supporting 2 200 jobs,” said DG October. The incentives would result in over 28 000 jobs projected to be retained and over 15 000 new jobs projected to be created through these approvals, while R36 billions of private-sector investment was leveraged across all incentives. 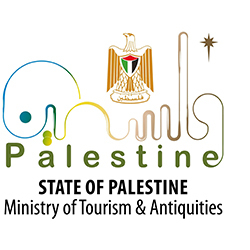 Tourism Minister Derek Hanekom and his Palestinian counterpart, Rula Ma’Ayah, Minister of Tourism and Antiquities of the State of Palestine, signed the agreement on Thursday, 13 September 2018. The cooperation agreement was preceded by a bilateral discussion between the two countries on the occasion of Minister Ma’Ayah’s official visit to South Africa. “We encourage South Africans to visit Palestine. We know that there are obstacles, but we are confident that just like us, the people of Palestine will find peace soon. “We stand in solidarity with the world in finding lasting solutions on the Palestinian question,” said Minister Hanekom in his welcoming remarks to the State of Palestine delegation. In her response to Minister Hanekom’s remarks, Minister Ma’Ayah expressed her gratitude on behalf of the people of Palestine for the continued support from South Africa, including multilateral efforts in finding lasting peace. “Palestine is a holy place with a number of different religious sites. We have 2,7 million tourists visiting Palestine each year, despite the fact that we do not have a single airport. This agreement is therefore a very important milestone towards increasing South African visits to Palestine,” said Minister Ma’Ayah. “We are happy to visit in the centenary year of Madiba, because we regard him as a symbol of justice for the world, and justice is important to our people,” said Minister Ma’Ayah, before the signing ceremony commenced. Full diplomatic relations between South Africa and the State of Palestine were established in 1995, and this led to the opening of a Palestinian Embassy in South Africa in the same year. This gave expression to the strong and long-standing ties of friendship and mutual support between the people of South Africa and Palestine. 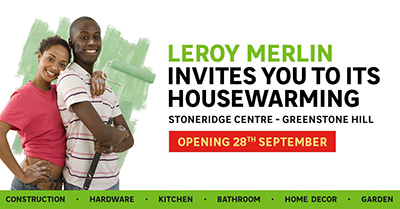 Leroy Merlin, which has been retailing hardware in France since 1960, will open its first full South African store in Johannesburg on 28 September. It isn't exactly a household name in South Africa, but Leroy Merlin has been selling hardware under that name in France since 1960, and it traces its history back to 1923, in the form of a store named, Au Stock Américain. In 1989, it broke out of its home country for the first time, and it now has big-box stores in Russia, Brazil and a number of European countries. Today, by its count, Leroy Merlin's parent group ADEO is the third-largest "DIY actor" in the world. At the end of September, its first full-fledged store will open in South Africa. Capetonians recently gathered at the V&A Waterfront harbour to photograph the latest international celebrity to visit the Mother City – the 126,2-metre long "Octopus" superyacht. The famous superyacht is owned by Microsoft co-founder, billionaire Paul Allen, and has been host to many celebrities during the years … and, according to insiders, there have been occasions in the south of France when Allen has invited rock legend Mick Jagger on board, and jammed with him until the early hours of the morning. The boat has its own recording studio, as well as a dance floor. It’s not just a party boat though. The luxury yacht, built in 2003, has a submarine dock with two submarines – and is used as an important research vessel for ocean conservation. Allen is a philanthropist who’s passionate about marine conservation. 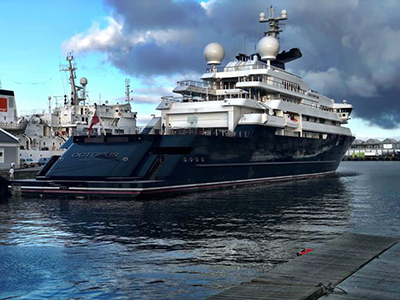 Although one of the largest superyachts to visit South Africa, Octopus pales in comparison to vessels like Russian oligarch Roman Abramovich’s Eclipse which is 164-m in length. Octopus has 41 suites and accommodates 26 guests and 57 crew members. 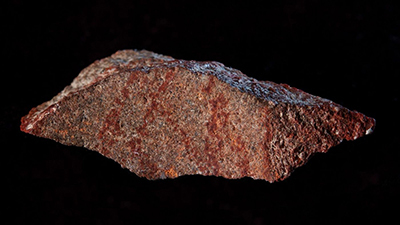 A small stone flake marked with intersecting lines of red ochre pigment some 73 000 years ago that was found in a cave on South Africa’s southern coast represents what archaeologists are calling the oldest-known example of human drawing. The abstract design, vaguely resembling a hashtag, was drawn by hunter-gatherers who periodically dwelled in Blombos Cave overlooking the Indian Ocean, roughly 300 km east of Cape Town, the researchers said. It predates the previous oldest-known drawings by at least 30 000 years. The cross-hatched design drawn with ochre, a pigment used by our species dating back at least 285 000 years ago, consists of a set of six straight lines crossed by three slightly curved lines. The coarse-grained stone flake measures about 38,6 mm long and 12,8 mm wide. “The abrupt termination of all lines on the fragment edges indicates that the pattern originally extended over a larger surface. 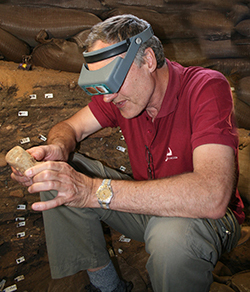 The pattern was probably more complex and structured in its entirety than in this truncated form,” said archaeologist Christopher Henshilwood of the University of Bergen in Norway and the University of the Witwatersrand in South Africa, who led the research published in the journal, Nature. “We would be hesitant to call it art. It is definitely an abstract design and it almost certainly had some meaning to the maker and probably formed a part of the common symbolic system understood by other people in this group,” Henshilwood added. Homo sapiens first appeared more than 315 000 years ago in Africa, later trekking to other parts of the world. The MEC of Economic Opportunities, Alan Winde, recently welcomed visitors to this year’s Cape Wine expo – the leading wine trade show in the Southern Hemisphere. The three-day show hosted by Wines of South Africa, which was held at the Cape Town International Convention Centre recently, is held in Cape Town every three years and attracts members of the wine trade, ranging from importers and buyers to sommeliers, and the media from around the world. Visitors to this year’s event had the opportunity to interact with over 300 South African wine brands, the majority of which hail from the Western Cape. “The wine industry in this province contributes significantly to our economy through exports, wine tourism and job creation, and Cape Wine is a showcase of the quality and variety of wines available here” Minister Winde said. The wine industry also ties in with two of the pillars of the Western Cape Government’s Project Khulisa Strategy to grow the economy and create jobs, agri-processing and tourism. Among the goals identified under Khulisa, is doubling wine exports to China and to Angola. “We have already achieved this goal in both these markets and continue to focus on promoting our wines across the globe. We would love to see Western Cape wines, and particularly bottled Western Cape wines, featuring on wine lists and in markets across the world. Cape Wine presents an opportunity for the world’s wine buyers and the Western Cape’s wine makers to come together to make that happen,” Minister Winde said. “The Western Cape’s 2018 harvest was about 15% smaller as a result of the drought, but we also saw exceptional quality coming off of the vine, so we hope that visitors to Cape Wine have the opportunity to experience some of this excellence during their visit,” Minister Winde said. Master of Wine Tim Atkin, who has contributed on wine for the Observer, Harper's, The Economist and the BBC for the past three decades, has just released his seventh annual guide to South African wine. Atkin says the 2015 Kanonkop Paul Sauer is "one of the greatest young wines I have ever tasted" and he gave it 100 points (out of 100). Kanonkop Paul Sauer 2015 is a blend of 70% Cabernet Sauvignon, 15% Merlot and 15% Cabernet Franc. 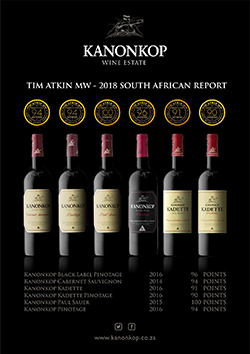 "To achieve the magical 100pt rating is a huge honour for Kanonkop, Stellenbosch and the South African wine industry as a whole,” said Kanonkop co-owner, Johann Krige. “Never has more great wine been made by as many producers from around the world as now. 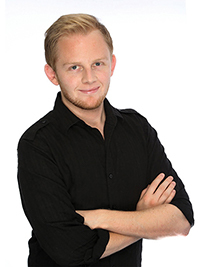 This leads to critics such as Atkin having to be extremely judicious when deciding to award perfect scores, hence the rarity of such ratings," says Krige. South African artist Portchie recently exhibited in London, with the wonderful art featuring fabulous flowers and both South African scenes as well as UK scenes. The packed opening of the Special Moments Exhibition was buzzing. 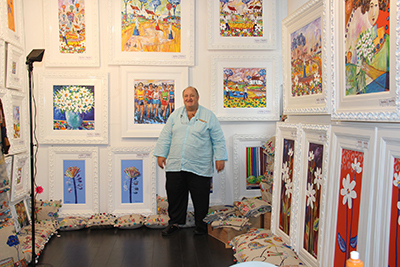 The Stellenbosch artist, whose last exhibition in London was in 2016, said: “It took two years of planning, dedication, hard work and joy in creating the most special Portchie Art (paintings, sculptures, art, handbags, cushions, runners, trays, coasters, etc.). 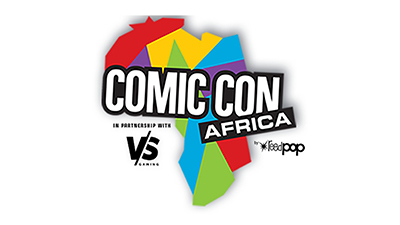 It was a fantasy-filled weekend in Johannesburg when Comic Con came to the African continent for the very first time. The popular comic book, gaming and fantasy convention was held at the Kyalami Grand Prix and International Convention Centre from 14 to 16 September, with thousands of fans stepping through the doors over the three-day period. Speaking to Channel24, Carol Weaving, Managing Director at Reed Exhibitions, says the festival exceeded expectations. "We always knew Comic Con in South Africa was going to be a great start and I think the first show on the African continent, so we’re really, really excited. It is the last continent that we’re running Comic Con in, and I think we’ve been long overdue to be absolutely honest." South African rhino poaching documentary, STROOP, has been selected as the opening night screening for an international film festival in Germany. 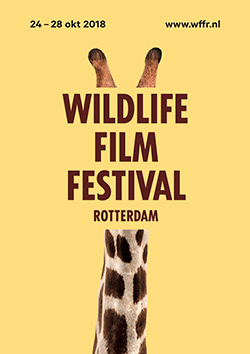 The elated producers called the invitation, to open the Wildlife Film Festival Rotterdam on 24 October, “unbelievable news”. “We feel really honoured as the festival director phoned us to tell us the good news and informed us that although they usually pick a feel-good film highlighting European wildlife, he and his team felt that STROOP just had to open the festival,” says producer and presenter Bonné de Bod. This follows hot on the heels of the recent announcement of the film’s 2018 Green Tenacity Award from the judges of the San Francisco Green Film, where STROOP had its world premiere. De Bod hopes the recognition the film is receiving helps ensure as many people as possible watch the film … and increase the chance that rhinos will be saved from extinction. 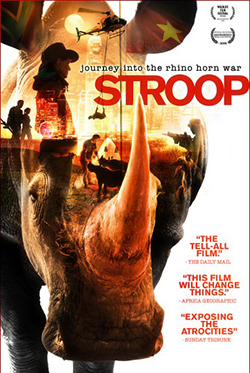 STROOP – Journey into the Rhino Horn War tells the shocking and touching story of the ongoing poaching of the rhinoceros and the trade in its coveted horn. Four years in the making, this labour of love saw de Bod and director Susan Scott sell their houses, leave their jobs and move in with their mothers in order to document what is happening in the fight to save the rhino from extinction. 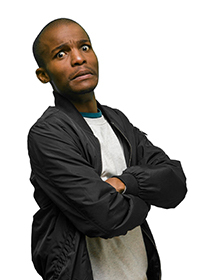 September is turning into a great month for South African comedians Tsitsi Chiumya and Phil De Lange. Not only did Tsitsi win Best Newcomer and Phil the Next Level prize at this weekend’s Comic Choice Awards, both comedians are featured in "Trevor Noah presents NationWild, a 13-part comedy showcase coming to Showmax this Heritage Day, 24 September 2018. “Trevor Noah’s global success proves that South Africa’s comics are among the best in the world,” says Candice Fangueiro, head of content at Showmax. South African rider Wade Young has secured his second consecutive world Enduro Super Series (WESS) race win, clinching top spot in the Red Bull 111 megawatt event in Kleszczów, Poland. With a thousand competitors on the opening day, Wade saw his way through to an unforgettable victory over Taddy Blazusiak and Billy Bolt, on Europe’s largest coal mine. “Couldn’t be happier to get a back to back win after Romaniacs!” he said, referring to the epic five-day event in Romania just over a month ago, where he became the youngest winner ever. 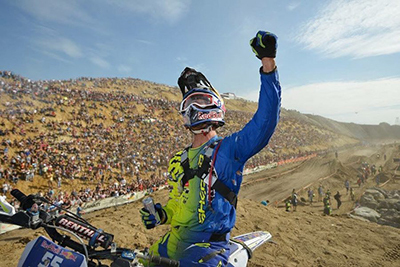 The professional Enduro/offroad motorcycle rider first made headlines when he became the youngest winner ever of the Roof of Africa when he was just 16, in 2012. 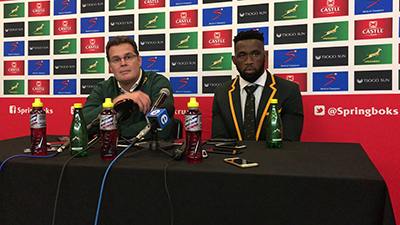 Springbok coach Rassie Erasmus says that Saturday's win over New Zealand was a result for the whole of South Africa. The Boks stunned the rugby world with a 36-34 win over the All Blacks in Wellington and it was a result that South African rugby fans needed after a disappointing few weeks. Few had given the Boks any chance of a win and speaking after the match on Saturday, Erasmus praised his charges. "The boys knew they were playing for their whole country," he said. "When you lose two games like we did in the previous ones, it's always nice to win but when you come here and beat New Zealand, it's even nicer. "We could have lost the game in the last minute, but the guys stuck in there and played for our country ... that's satisfying." The Boks scored five tries in the match, but it was their defensive effort of 235 tackles that really stood out. "I don't know how we scored all those tries ... they've got one of the best defensive systems in the world and we had no ball and scored all those tries," Erasmus said. "That's a positive for the attack, but the defence was just awesome. I think the guys are starting to trust the system and get used to Jacque's (Nienaber) defensive system. "There are a lot of things that we did wrong, but at the end we pulled it through. "We're not getting carried away, but we're really happy for us and for our country as well." The Boks have the week off before preparing for their next clash against Australia in Port Elizabeth on 29 September.